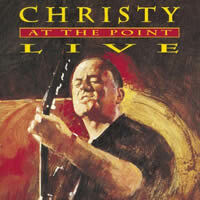 Black Is The Colour has been recorded by many artists and one of the most popular versions is by Irish folk-singer, Christy Moore featured on the album, Live At The Point. Capo on the 1st fret and play in the key of Am (no sharps or flats... much easier to play). | 1 2 3 4|, or | 1& 2& 3& 4& |etc. Tempo: approximately 122 bpm - the click track will sound on every beat of each bar If you want the beat to sound on the every 2nd beat of each bar, set the metronome to approx 60 bpm. The hyphen between 2 chords means you split the beat-count of the bar evenly between the 2 chords, e.g., | Am - Asus2| with a time signature of 4/4, you play the Am chord for 2 beats, and the Asus 2 for 2 beats. The Asus2 chord adds a nice touch. You don't have to play it, but it does enhance the overall sound. It's a very easy chord to play... you just take your first finger off the Am chord. On the second and third lines of each verse there is an added 2/4 bar (2 beats) of F major before the G chord... you will notice this when you play along with the video. There is a tendency to want to play the G chord earlier, but if you count each bar and listen to Christy, you will notice there is an extra 2 beats added to the F chord - 6 beats in total OR 1 bar + 1/2 bar OR 4/4 bar + 2/4 bar... I hope this is not too confusing. Just follow the chord changes on the chart as they are placed exactly where each chord change occurs. Christy plays the G chord exactly the same as the F chord (open position) except 2 frets up... F + 2 semitones (frets) = G. You don't have to play it like this, but you should give it a go as it gives you an extra option to add to your repertoire... xx5433. Born: Christopher Andrew Moore on the 7th May 1945 in Newbridge, County Kildare, Ireland. CHRISTY MOORE chords and lyrics are property and copyright of their owners. "Black Is The Colour" chords and lyrics are provided for educational purposes and personal use only.